Rome Travels S.r.l. 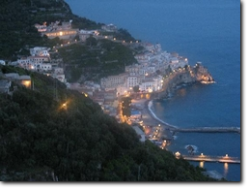 is a family owned travel company born out of the need to offer a highly professional service to the tourism in Italy. The Pellegrini Family has been operating since 1971 as Rome and Italy Travel Guide. Sandro, Federico and Cristiano: each one of us is a Rome Guide and our long experience will be used in customizing your Italian Holiday. For your Rome Travel, we provide Rome Tours, private tours of Rome as well as group tour, day trip for the private shore excursions during your Italy Cruises in the Rome Port, Livorno Pier and Naples Port and any sort of private transportation by using our reliable drivers and great experienced bus and minivan companies operating all over Italy and the main Italy Ports-of-Call. We are pretty sure that few people choose Rome as their only destination in Italy, despite Rome is worthy of a single and endless visit. Should you opt to extend your Italian trip out of Rome, Rome Travels will help you by using our experienced team of local correspondents in Florence, Tuscany, Venice, Sicily, Marche, Umbria, Apulia, Pompeii, Naples and the Amalfi Coast giving you veritable Italy travel packages. 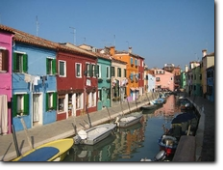 In this web site you will find samples of Rome and Italy Tours that we recommend to those who want to experience the Italian Peninsula with someone who is used to lead tours and customize travel arrangements since years. At the same time, in case you wish to personalize your Italy Travel, we will be more than glad to help you in choosing the very best one for you. Check what our previous customers said of our tours !!! These are Your Certified Trip Advisor ! Upon request, particular attention is dedicated the the Christian Italy with a special focus on the Rome pilgrimage on the footsteps of the Roman Catholicism. In this regard, we know to be privileged to live and be based in Rome and we want to share our unique home land with those who really appreciate the memory of the Christian Rome by customizing the religious holidays enlightening the sites of Rome Christianity. 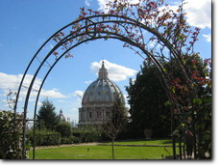 For the group of people, individual Parish churches, travel agents or families who are planning a 2016 Pilgrimage to Italy, Rome Travels help you in customizing a veritable Religious tour & travel package towards the Shrines of: Loreto, Pompeii, Assisi, San Giovanni Rotondo, St. Michael's Cave and on the footsteps of St. Francis & St. Benedict. 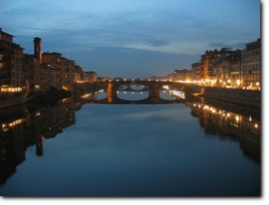 Booking also your overnights in Italy, our company provides general and accurate personal reservation in any Italy Hotel for your family trip or group tour that we higly suggest and, since we are local agents, having high competitive hotel room rates, providing veritable Italy tour packages. Our wish is to be your useful personal Travel Guide throughout this incredible mosaic of Arts, Churches, History and Architecture called Italia; your right is to fully embrace during your Italy vacation such an extraordinary world heritage. 16 years on line ! Everywhere in Rome there are patches of the subterranean city, or rather cities: an austere, special world, of which the catacombs and the excavations under St. Peter's are the best-known portions.